Roughly 2.5 million sqft of retail space is scheduled to be completed in 2019 as healthcare and cosmetics firms heatedly pursued expansion plans to cater to a revival in inbound tourism, according to CBRE. The sales of tourist-oriented trades including medicines, cosmetics, watches and jewellery outperformed in the first eleven months of 2018. 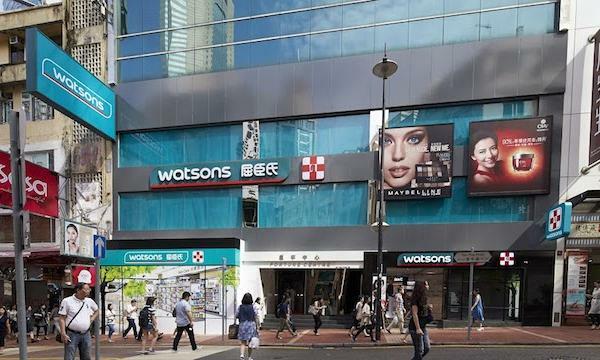 “The inbound tourism recovery ensured health & personal care retailers remained active,” CBRE Research noted in its report, citing how local pharmacy chain Watson’s was able to commit several new leases in Q4 including a space along Paterson Street in Causeway Bay. Likewise, Lung Fung Pharmacy committed to new leases in Tsim Sha Tsui and Mong Kok. Meanwhile, continued strong sales encouraged further expansion by cosmetics brands in Q4 2018. The report highlighted how local cosmetics chain Sa Sa leased a new street shop on Nathan Road in Jordan whilst renewing its lease on its premises on Hennessy Road in Causeway Bay.Other major deals included Korean beauty and cosmetics brand Amorepacific’s commitment to a new space in Mandarin Oriental Hotel in Central. Of the retail space that will be coming only in 2019, approximately 70% will be located in key retail districts with Tsim Sha Tsui set to see the addition of two major projects which are the flagship retail complex K11 Musea and commercial single complex H Zentre. Overall high street shop rents for the four core retail areas were found to have slightly dipped 0.4% QoQ in Q4 2018, although full-year rents managed to record a 0.2% growth which brought its four year annual declines to an end.